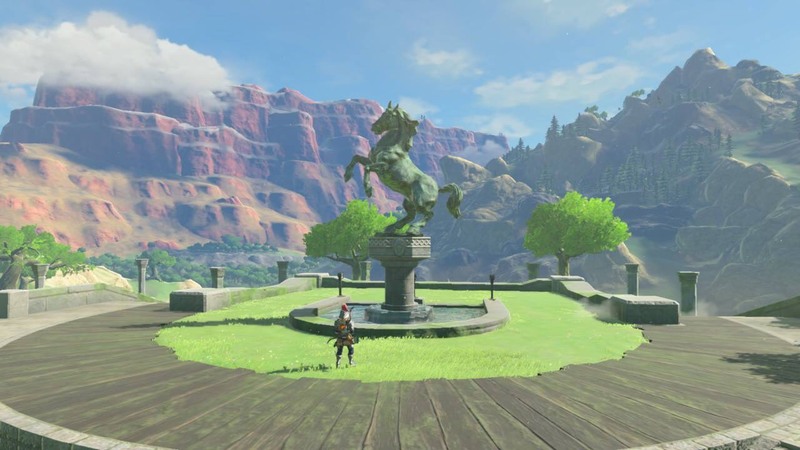 The Legend of Zelda Breath of The Wild Review - "A Breath of Fresh Air"
The Legend of Zelda: Breath of the Wild was announced back in 2013 and from the get-go it was supposed to challenge everything that people know and expect from traditional Zelda games. It is the 19th game in the series, and my first Zelda adventure which is a big deal when trying to get my Legend of Zelda Breath of the Wild review together! 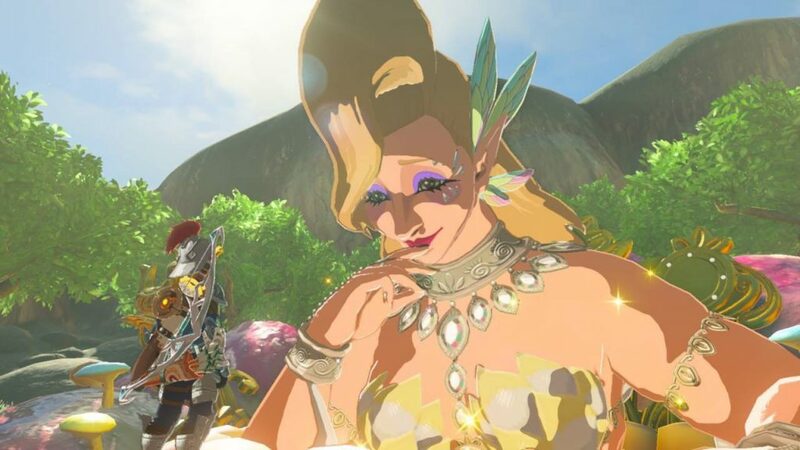 This franchise is very close to people’s hearts, so did Nintendo make another amazing Zelda game, or is that magic starting to disappear? Here I will talk about the goods and bads of my first adventure in Hyrule. Don’t forget to comment using Disqus or Facebook at the end of the article and tell me your thoughts on the game, and remember to share with your fellow gamers on social media! The vibrant colours and beautiful landscapes make this a very pretty game indeed. The art style is a combination of realism and cel shading which brings out bright colours and makes shadows darker. This makes for a pleasant look that feels magical The open world is a huge one, whatever you see in the distance with your binoculars, and you can see a lot, you can 100% go there. There’s no pop-in when looking through the binoculars, and you can see things in the distance even without using them. It truly feels like a world and not simply a big map. The opening titles show this in all its glory, presenting you a world in which you can go and explore, and do whatever you want. The game runs near-perfectly on the switch in TV mode, the only problem (if you can even call it that) is the minor case of framerate stutter when running through tall grass. This is not a problem at all in tabletop or handheld mode. The game actually runs smoother and looks clearer, and the framerate stutter is non existent. The UI is clean and simple, it shows you your map, health and what you need to know without taking up too much of the screen and distracting you. The inventory is the same, everything is clearly labelled and easy to sort and find. Going between all the categories in your inventory feels quick so you can easily check through everything you’ve collected like ingredients and weapons, and as you progress in the game you can get more space in your inventory for your weapons, shields and bows. As is the case in every Zelda game, you play as Link. 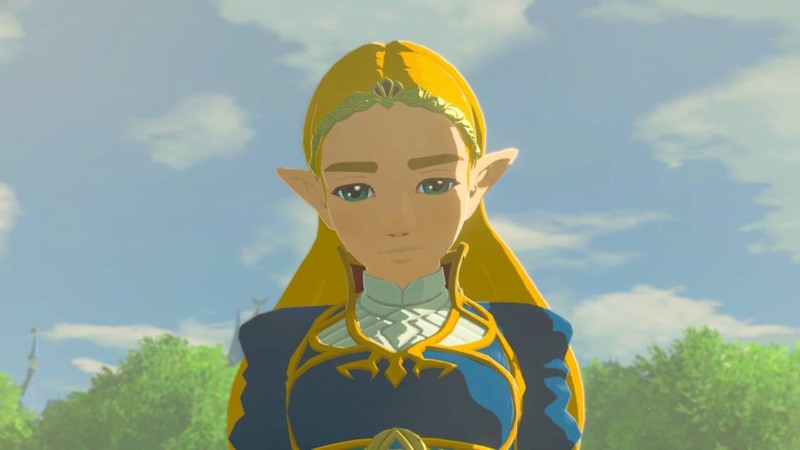 A voiceless protagonist who must save Hyrule from destruction. You wake up in a chamber having slumbered for 100 years, and you are told that you need to defeat an entity called ‘Calamity Ganon’ and save Princess Zelda in Hyrule Castle, and to do this you’ll need the help of four ‘Divine Beasts’. After the tutorial area, you can literally go wherever you want. If you wanted, you could even go straight to Hyrule Castle to take on the final boss right away (once you get the paraglider). Of course, this isn’t really how you’re meant to play the game, but the freedom to do so is given to you right from the start. You are never forced to go to certain places before others, and you can do all the Divine Beast quests at your own pace in whatever order you want to do them. The game promotes exploration, every now and then you’ll come across shrines, which test your skills in different ways (as well as serving as fast travel points). Some are combat trials, some are puzzles and for some, just getting to them in the first place is the challenge, but completing these will earn you some loot and ‘Spirit Orbs’, and four of these Spirit Orbs can be traded to goddess statues to get you extra hearts or stamina, which obviously is very handy if you want to stay alive, sprint for longer, climb for longer and use your paraglider for longer. Exploring Hyrule for these shrines is really enjoyable, and its always satisfying to start hearing the beeps that indicate a shrine is nearby. If you can think about it, you can probably do it. For example, I came across a shrine surrounded by thorns with no visible way in. I climbed to the top of a building nearby and glided to the entrance from there, whereas a friend used fire arrows and lit the thorns on fire to get in. You can also cut down trees and use the logs to create a bridge between cliffs. This is the sort of freedom you can expect from this game, the only right way of doing things is what you can think of and how creative you are. Scattered around the world are odd things that stand out and seem out of place, like a tiny paper windmill, single yellow flower, or a small structure with one block out of place. These are all mini puzzles, and upon completing them, an adorable little thing called a ‘Korok’ will appear and give you a Korok Seed. These seeds are used to upgrade your inventory, so never ignore one of these puzzles when you see one. The music was subtle, quiet and beautiful. The piano being the most prominent instrument you hear, it does well to portray that the land fell to ruin long ago, and only memories and almost-forgotten legends are all that’s left of that time. My favourite piece of music, which is also the one I heard the most, was the music that plays when you’re riding through the world on a horse. It’s upbeat but calm, and the violins sound distant and make the music, and the experience, more magical. With this being my first Zelda game, I would definitely say it’s a good one to start with if you’re also new to the series. It’s an addictive game and I had an amazing time playing it, and although I completed it, I still don’t feel I’m truly finished with exploring the world as there’s still so much to do and discover. I can see myself going back to it again and again. The game is a beautiful work of art, and I recommend it to series veterans and newcomers alike. Hey there! I'm Natalie and I've been gaming pretty much all my life. I'll play whatever looks good to me but I have a soft spot for RPGs. Character customisation is my thing and I'll spend hours creating the perfect character (literally)! Coexist!